Flensburg, 08. 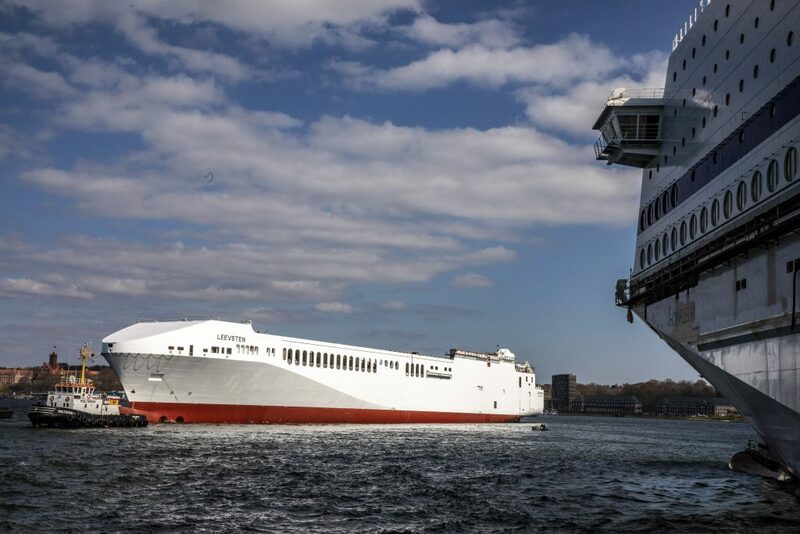 April 2019; On Monday, 08 April 2019, the Flensburger-Schiffbau-Gesellschaft’s seventh Ro-Ro ship for SIEM was successfully launched. This newest fleet member of the SIEM Group is named “LEEVSTEN”. This name comes from the Lower German dialect and means “Dearest”. As per the wishes of the Shareholders and the Managing Director Alex Gregg-Smith, the name of the ship should be dedicated to the staff of the FSG, and so this beautiful event was celebrated in a small circle, which consisted mainly of the staff and their families. 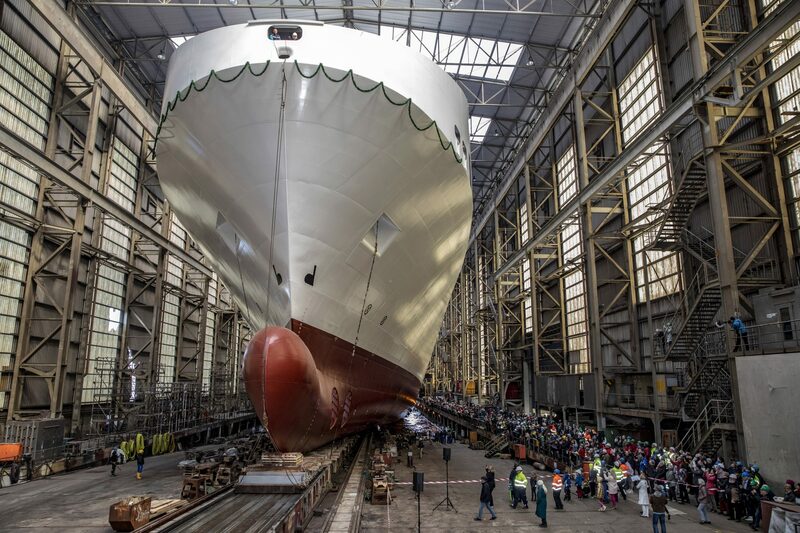 On behalf of all partners of FSG´ler, an employee’s life partner was made Godmother and named the ship. The “Leevsten” will be delivered in September 2019; another Ro-Ro ferry for SIEM will be delivered in 2020.